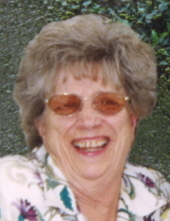 Evansdale – Ethel Lorraine Jewell, 88, of Evansdale, died Monday, February 4, at MercyOne Waterloo Medical Center. Ethel graduated from Decorah High School. She and her husband owned and operated Jewell’s Body Shop for 64 years. She was a charter member of St. Nicholas Catholic Church, where she was active in the Rosary Society and other church activities. To send flowers or a remembrance gift to the family of Ethel Lorraine Jewell, please visit our Tribute Store. "Email Address" would like to share the life celebration of Ethel Lorraine Jewell. Click on the "link" to go to share a favorite memory or leave a condolence message for the family.